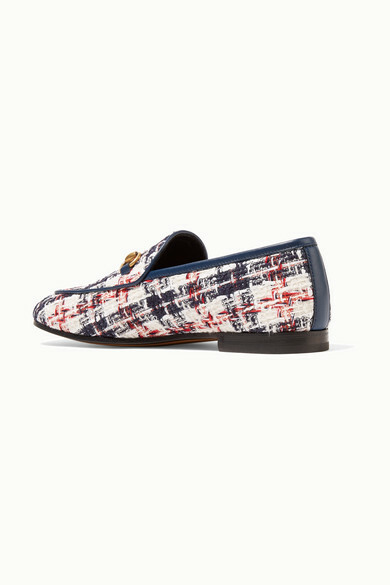 If you're going to invest in one accessory for the fall season, consider a pair of Gucci's signature 'Jordaan' loafers - they're the only shoe that was inaugurated into the Metropolitan Museum of Art's permanent collection. 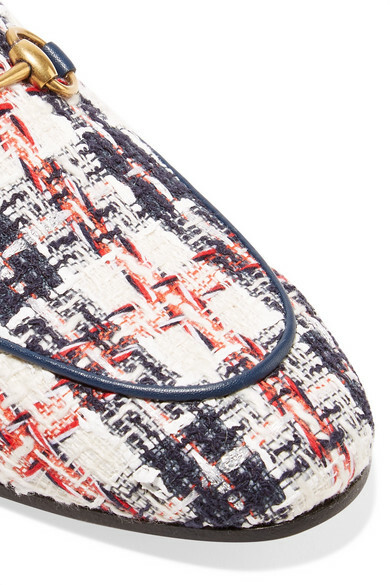 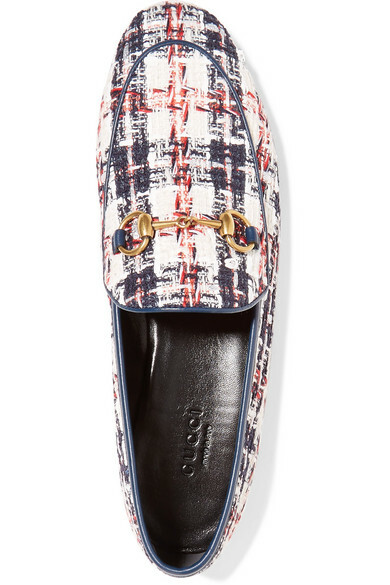 This tweed version is detailed with the brand's iconic horsebit detail and trimmed in leather. 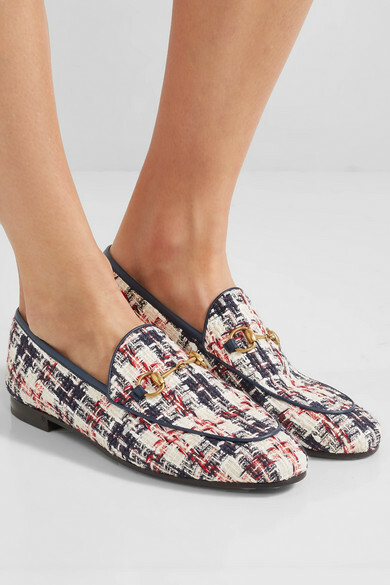 They look equally great styled with sleek tailoring or denim. 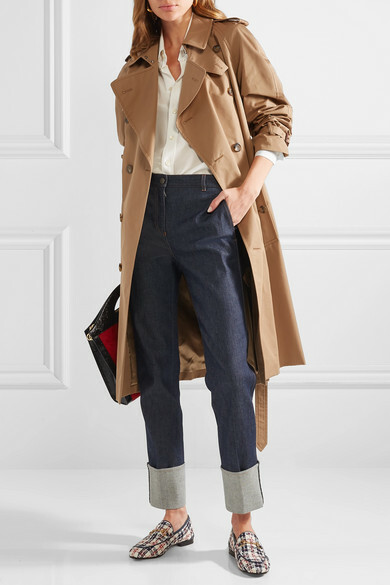 Shown here with: Gucci Trench coat, Saint Laurent Shirt, Bottega Veneta Jeans, Gucci Shoulder bag, Kenneth Jay Lane Earrings.